I recently had the privilege of interviewing a strong and enlightening woman regarding issues of beauty, fashion, and the rights of those who live with disabilities. Valentina Tomirotti, who hails from the city of Mantua in northern Italy, came to the attention of mobileWOMEN.org when she researched topics of fashion and how it relates to those who live with disabilities. At the age of 32, Ms. Tomirotti was born with a disability called Dysplasia Diastrophic, a rare genetic condition that affects 1 in 500,000 births and is characterized by its defect in creating cartilage that manifests itself in very short physical stature and scoliosis. One extension of this is to show fashion as an integration; not just a fashion for people with or without disabilities, but fashion for all. And more than fashion for persons with disabilities, she would like to be a fashion insider and show that it is not an extension of perfection. “I want someone who uses a wheelchair in the 1st row who works for Parade or Dolce & Gabbana, and I want the press to include someone who uses a crutch or lives with a prosthesis.” These are examples of change that are important to her and her vision of what the future could hold. Through it all, Ms. Tomirotti feels like a very lucky woman. “My disability is very severe and visible, but I am happy and feel lucky because I am at peace with it and cannot imagine a different life.” She also goes on to say that she feels very fortunate to have a brain that never stops, which for her has no obstacles. Moving forward, Ms. Tomirotti wants to continue to educate and help make disability a normal all its own. 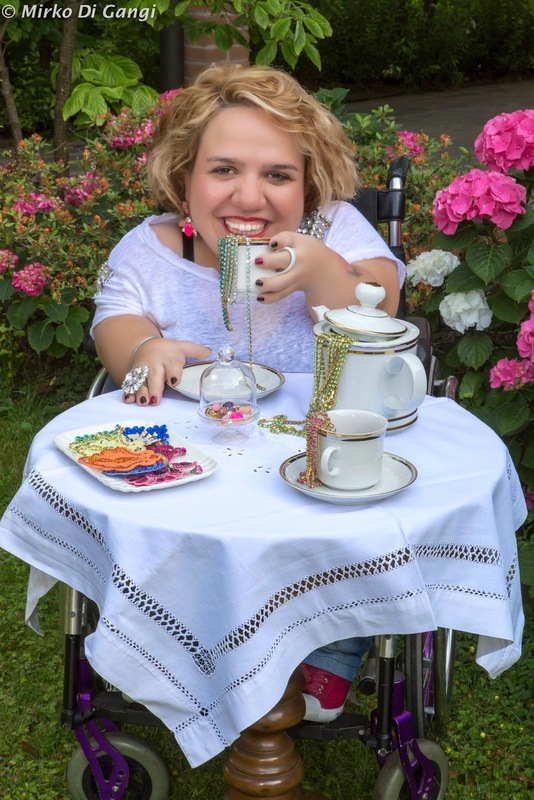 “I would like to continue to try to change perceptions on disability and help educate that all people are equal.” She would also like to remind people that everyone has difficulties to overcome. But when it comes to the fashion world, a message needs to be given that is currently missing from the chorus of conversation towards disability. That message is a very simple one and states that in the end, people with disabilities really can do it all. Thank You! <3 It's wonderful! APARTMENT INFORMATION - Information channel No. 1 Hanoi apartment!!! Please Tell me Why? ?/ How to get top one?/? How to sale a apartment?? ?